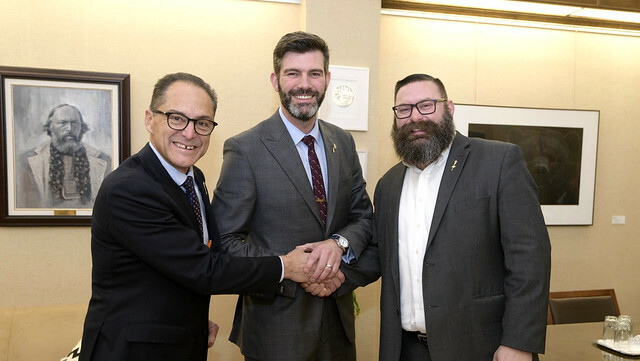 The Alberta government is introducing a new funding approach for the province’s two biggest cities that would help Calgary and Edmonton attract investment, support growth and create jobs. (L-R) Minister Ceci, Mayor Iveson and Minister Anderson announce the introduction of Bill 32, the City Charters Fiscal Framework Act . If passed, the City Charters Fiscal Framework Act would provide Edmonton and Calgary with infrastructure funding tied to provincial revenues, meaning they would share in Alberta’s future revenue growth. The Edmonton and Calgary city charters came into force in spring 2018. Charters provide the cities with specific flexibilities and authorities to better meet the needs of citizens, in areas that require a different approach than other municipalities in Alberta. Edmonton and Calgary are home to approximately 53 per cent of Albertans.